By Ian Pollard in News and Views, Uncategorized on 22nd August 2018 . Grafton Group plc GFTU has produced a strong performance for the half year to the 30th June with all segments reporting double digit growth in profitability and excellent organic growth in key markets. Statutory profit before tax and basic earnings per share both rose by 18% after a 9% rise in revenue and the interim dividend is to be increased by 14% to 6p. per share. Empresaria Group EMR saw profit before tax rise by 12% on a constant currency basis in the half year to the 30th June as it continued to deliver on its diversification strategy which produced first half organic profit growth. Revenue grew by 5% on a constant currency basis. After regulatory change in two of its main markets, Germany and Japan, both are expected to return to profitability. Cloudbuy plc CBUY claims to be making progress in reducing losses and cash burn despite a further 21% fall in revenue in the six months to the 30th June. The operating loss for the half year fell by 39%. Robinson plc RBN First half revenue rose by 15% and underlying volume was up by 9% for the half year to the 30th June. The volume increase came from improved trading with existing customers and new business obtained in Poland and the UK following investment in strengthened commercial teams. With revenue showing some signs of momentum, further growth is expected in the second half and the interim dividend is to be maintained at 2.5p per share. 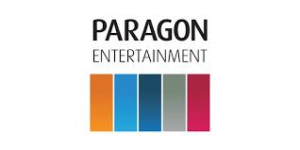 Paragon Entertainment Ltd. PEL had already warned it had suffered a very poor half year to the 30th June but the order book has started to recover and management claims it is committed to making a substantial recovery in the second half of the year. First half revenue collapsed by 50% and basic earnings per share fell from a positive 0.18p to a negative 1.07p per share.Last years underlying first half profit of £448,000 was turned into a loss of over £2m.